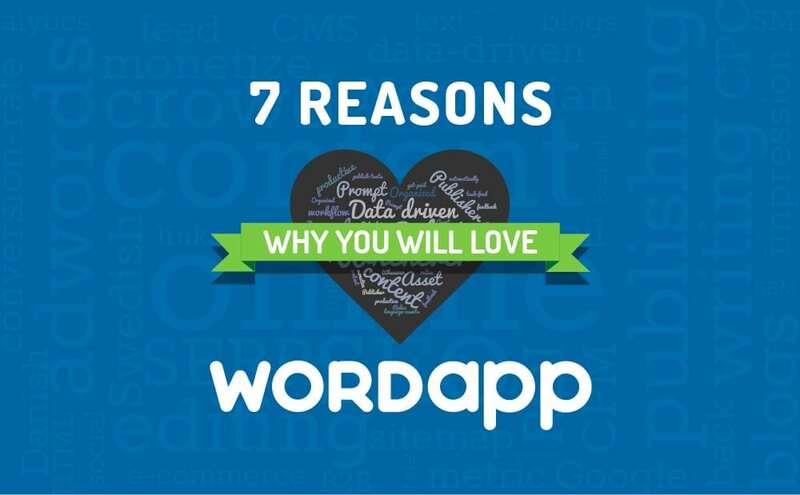 So we wanted to tell you about Wordapp, and the Seven Reasons why we think you will love it. Keep on reading below! Sign up now and start monetizing your language assets with Wordapp! Login and voila, you have a feed of tasks that suits you. Do an editing task for ten minutes and call it a day, or go on a writing spree of twenty 500 word texts in a ten hour session. The workflow is organized so that there are no more e-mails, Dropbox or other unproductive tasks that eat into your precious time. Rules regarding keyword density, word count and instructions are checked automatically, so you can focus on the text, not on reading five pages of instructions. Every two weeks our programmers make improvements to the app, so you get even more productive. Wordapp helps you monetize your language assets be it in the form of writing or publishing them, or referring a client and earning commissions in our affiliate program. Feedback is done in the system and promptly appears in your task feed. Publishers accept and publish texts several times a day. Once a text is accepted, writers and editors get paid. If you are good at your native language and love words, Wordapp is for you! Ten minutes or ten hours in a day, you decide yourself. Also, check out our Affiliate Program for even more opportunities to monetize you language assets.